Can You Guess-o This Espresso Pub Set? This five piece espresso pub set is the perfect place to have your morning cup of coffee! It comes with four chairs and a square table. Finished in a rich, dark, chocolate brown espresso color, this lovely set matches any decor. You’ll surely enjoy the elegant support features on the chairs as well. The four chairs have criss-cross backs and additional footbars, which are both functional and stylishly unique. This set may seem simple, classic, and timeless in its design, but it also has a modern flair. Sitting higher than a table top height, this table sits at counter height. This style is on trend right now, and we’ll tell you why below. 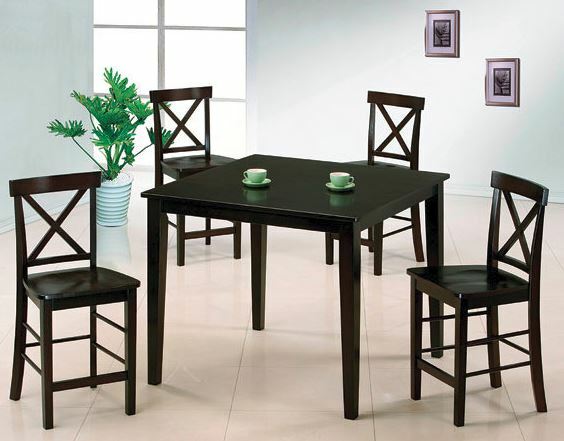 When it comes to outfitting your kitchen for an affordable price, you can’t go wrong with this dining set. Get this five piece espresso pub set for just $298! Can you guess which product it is? Comment below or click here to go to the product page. These days, furniture versatility is everything. Space is often limited in our first, second, or even forever homes, so it’s important that furniture is functional no matter the occasion. Counter height table sets have come into style for this very reason. You can use it to work, eat, host, craft, or just simply as a focal point in your kitchen or dinette. Sometimes, affordable home furniture can be challenging to build. We can see right here that this set is simple to put together. That alone is a huge help! We hope you love this espresso pub set as much as us. If you’re looking for other dinette options, click here to see another Tuesday Teaser of a favorite, or click here to see all our dining room options. Click here to check out one of our brand new dining sets. Love this post? 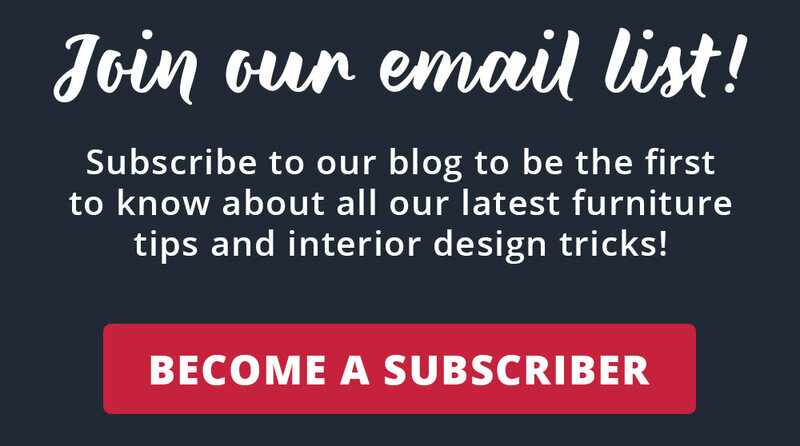 Click here to sign up for weekly blog email! Next PostHow Tall is Counter Height?